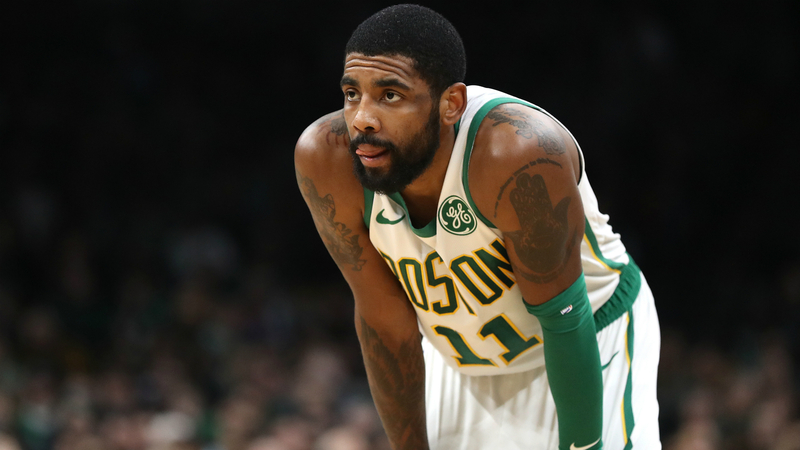 Kyrie Irving kept it brief with the media after the Boston Celtics lost again, with the NBA All-Star barely talking to reporters for more than a minute. The slumping Celtics crashed to a 115-104 home defeat to James Harden's Houston Rockets in Boston on Sunday. Favourites to win the Eastern Conference at the start of the season, the Celtics are 1-5 since the All-Star break and 38-26 for the campaign – down to fifth in the east. Irving has cut a frustrated figure throughout the poor run of performances and the 2016 NBA champion was in no mood for interviews post-game. The first question put to Irving was: "How tough was that for you tonight?" "It was tough," Irving responded. Irving's replies continued to be short and sharp, with the six-time All-Star uninterested. When asked about the first half, which the Celtics trailed the Rockets 65-43, Irving said: "We just didn't play well." Serious questions are being asked about the Celtics as they continue to struggle. Asked what needed to be done to turn things around, Irving – who has been linked with the New York Knicks – said: "Just gotta play better." It does not get any easier for the Celtics, who face a four-game road trip against reigning champions the Golden State Warriors, Sacramento Kings, Los Angeles Lakers and Clippers. "We'll see" was Irving's response to being asked if the Celtics could come together on the road trip.